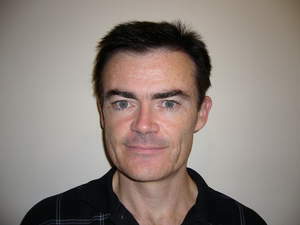 BEAVERTON, OR -- (MARKET WIRE) -- September 7, 2005 -- VeriWave, Inc., the leading provider of test systems for performance analysis of wireless local area network (WLAN) products, today announced that it has hired John McBirnie as Director of Sales for Asia-Pacific. Mr. McBirnie will expand VeriWave's presence in the region and manage VeriWave's growing list of distributors. Mr. McBirnie brings with him over 17 years of sales experience in the data communications field with focus on test equipment. Most recently he served as Director, Asia Pacific Region for Spirent Communications, where he established distribution channels, and trained channel partners to sell and support data communications test equipment. Prior to that, Mr. McBirnie served in other regional and international sales management positions at Spirent, and Wandel & Goltermann. "We are excited to welcome John McBirnie to our team," said Rob Johnson, VP of Sales for VeriWave. "VeriWave is devoted to providing our customers in Asia with the highest level of support. John's vast experience in selling test equipment to the Asian market, and his ability to establish long-term relationships with telecommunications and data communications manufacturers, operators, military and end users, is crucial to VeriWave's presence in the region." VeriWave is the leading provider of test systems for performance analysis of wireless local area network (WLAN) products. VeriWave's products are used by equipment manufacturers to accurately analyze the performance of their products, as well as by carriers and enterprise users to make the right choice when selecting WLAN equipment for deployment in their networks.